The Business of Fishing is the name given to our in-depth training workshop. It looks at detailed fisheries science and management for offshore and quota-based fisheries. This pilot project ran in 2017, funded by the EMFF. To empower 30 Scottish fishermen to engage fully with fisheries science, management and governance. 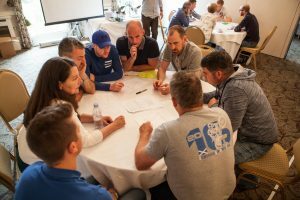 To build a curriculum of direct relevance to the Scottish fishing industry, fostering deep connection and cooperation between fisheries participants. To monitor and evaluate changes in attitude and behaviour as result of this training workshop. Fishing in 2017 is about far more than catching fish. It is a complex business and science is pivotal. There was (and is) a need for fishermen to have opportunities to ‘under the bonnet’ of fisheries science and management and to learn the tools they need to engage fully with the machinery of governance. We see informed, engaged and motivated fishermen playing an increasingly vital role at the heart of sustainable fisheries, where interactions within and between sectors are based on respect, trust and informed engagement and which support multi-annual planning. Business of Fishing was delivered to 27 Scottish fishermen from the main pelagic, white-fish and shellfish sectors. 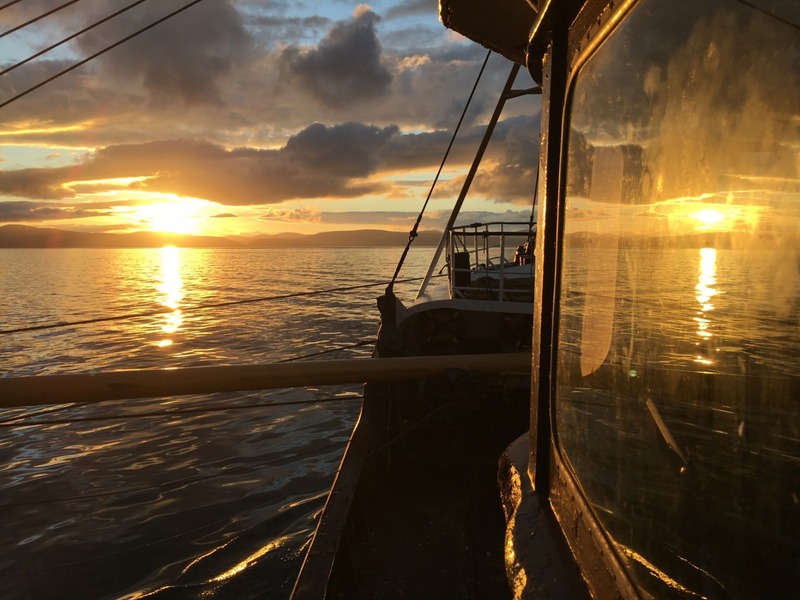 They were given access to the chief scientists and managers responsible for managing their fisheries, and had extended opportunities to engage with them throughout the three-day residential workshop. 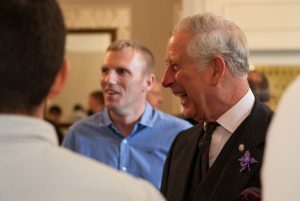 Attendees at the workshop were honoured with a flying visit from HRH The Prince of Wales. The Prince of Wales has taken an active and personal interest in the development of this training initiative and wanted to recognise the importance of this work through his own patronage. This programme is essentially about leadership development. 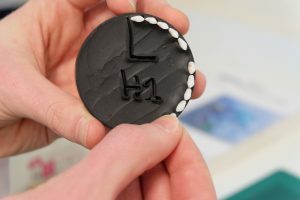 We see graduates from the workshop taking forward scientific and sustainable management initiatives, influencing the culture around them in a positive way. We have been asked to deliver this training on a regular basis, and we are constructing a funding package to support the long-term delivery of this work. We are also developing a sister course called Introduction to Sustainable Fishing for the inshore sector. 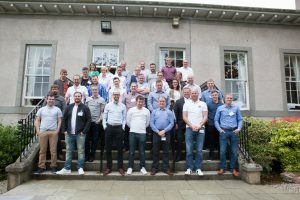 We are also working with the project planning team and other partners to develop shorter courses, which have the potential to attract formal certification as part of the training of any entrant to the Scottish fishing industry, building an industry fit to meet the challenges of delivering sustainable fisheries for future generations.